Just when you think TOMS can't get any bigger or any better for the planet, we hear they are teaming up with one of the biggest retailers in North America to call for even more change. I mean seriously folks, can you even think a bad thought about this brand that has truly transformed retail? TOMS, as you may already know, gives one pair of shoes to a child in need whenever a pair of their shoes is purchased. So far, the company has given away over 10 million pairs of shoes to children around the globe. Just let that soak in for a minute. Today, Target announced it was teaming up with TOMS for a special holiday collaboration that could see as many as 11 million meals, blankets and shoes delivered to those in need this holiday season. That is, in short, just remarkable and a collaboration that should be celebrated and supported. So that's why I'm writing today - to show my support for an incredible project that will see me visiting my local Target this holiday season and laying down the credit card. 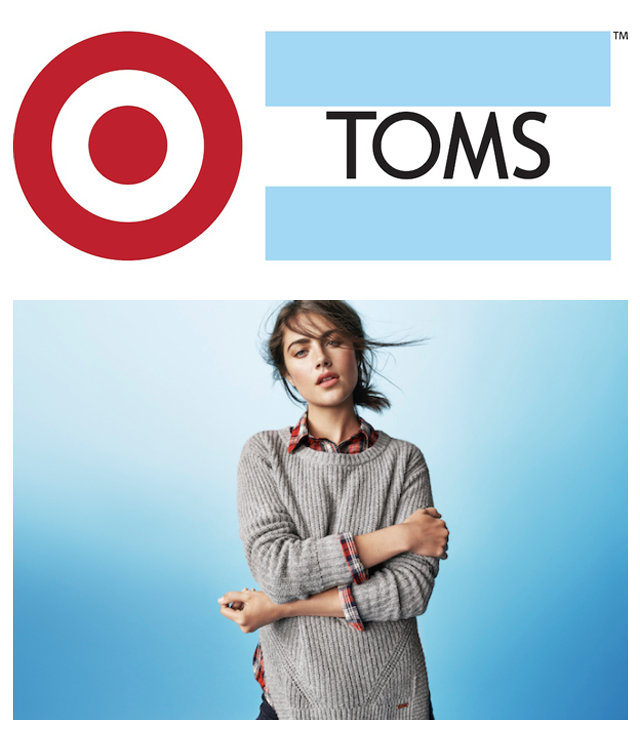 TOMS for Target will feature more than 50 items for sale, ranging from shoes to clothes, home goods to accessories. Each and every product is under the $50 mark - hello, hot Christmas gifts- and everything will be available at Target from November 16th. Target, we salute you for supporting such an amazing company and we're looking forward to seeing all the products up close and personal on the big reveal day.